We left our grass to get quite long and dry before we cut hay this year. The horses don’t need the lushest feed during winter, just good roughage. As a result, the grass had a plenty of seed and it looks like the hay cutting has dropped a lot of that seed back into the pasture. 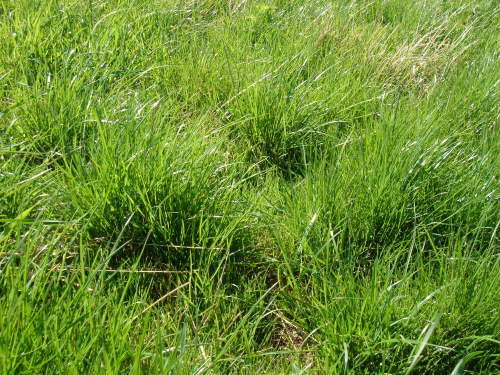 There is a huge amount of new grass blades growing in every possible bare spot on the pasture which will be great news for the animals as we approach winter.